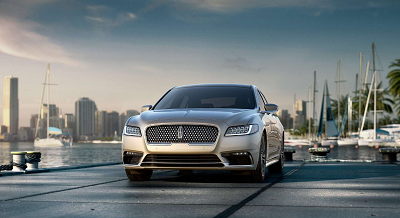 The 2017 Lincoln Continental near Pascagoula, MS isn’t just the new flagship luxury sedan from Lincoln, it also marks the revival of a storied vehicle. Indeed, the name “Continental” was dreamt up by none other than Edsel Ford, who was president of parent company Ford Motors from 1919 until 1943. To say that the release of this model has significant historical weight is an understatement. After lying dormant since 2002, it’s not surprising that the 2017 Lincoln Continental near Pascagoula, MS has undergone some major tweaks. Nowhere is this more apparent than in the body used for the car. The 2017 model uses the same frame as the Ford Fusion but modified to accommodate its greater size and weight. Posted on September 17, 2016, in Business and tagged 2017, continental, lincoln, pascagoula, return. Bookmark the permalink. Leave a comment.